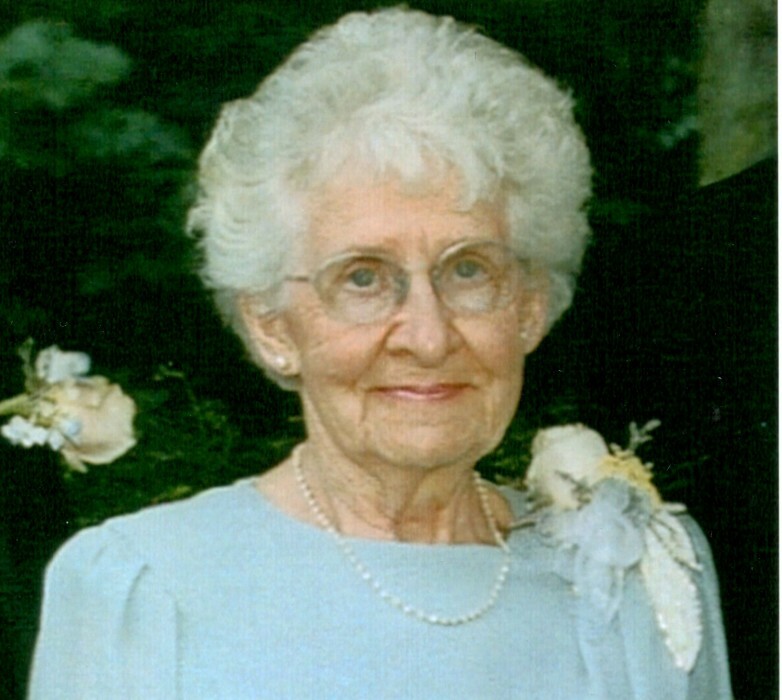 Lois Ida Forer was born in Pine Twp., PA, on June 10, 1924, the first child of Claude and Hannah (Gordner) Messner. She grew up on the family farm in Roaring Branch, PA with sisters Dorothy, Elaine, and Martha and brother Martin. She learned many homemaking skills from her mother and especially enjoyed working with her dad no matter what he was working on outdoors. Lois graduated from Liberty High School, Class of 1942, and married the love of her life, Alvin Forer, on August 28, 1943 at the East Point church. Alvin and Lois lived and worked on the Forer family dairy farm with Alvin's Grandfather Charles DeCoursey and Alvin's father and mother Charles and Mildred (DeCoursey) Forer. In 1946 they introduced a fourth generation to the farm when their son Lyle Forer was born. The Forer farm was a great gathering place for the extended family on weekends, during the summer, and holidays with everyone joining in the farm work and enjoying each other's company. The nieces and nephews especially have fond memories of good times with Lois making ice cream, maple syrup and so many other good times. Lois was an active life-long member of East Point United Methodist Church and had many friends in the community. Lois was a hard worker, working along-side her husband Alvin until they sold the farm in 1988. She was preceded in death by Alvin in March, 1999, her brother Martin in 2003, son Lyle in June 2017, sister Dorothy (Messner) Eves in April 2018, brother-in-law Richard Forer, brother and sister-in-law Donald and Betty Forer, and brother-in-law, John Roby. She is survived by sisters Elaine (Messner) McNeilly and husband David, Harrisburg, PA, and Martha (Messner) Geisinger and husband John, Liberty, PA, sisters-in-law Margaret (Russell) Forer, Roaring Branch, and Harriet (Forer) Roby, Kingsland, GA, daughter-in-law Ruth (Wintermute) Forer, Mechanicsburg, PA, grandchildren Colin Forer and wife Terra Reider, Lake Mary, Florida, Justin Forer and wife Livia, Enola, PA, and Benjamin Forer, Mechanicsburg, PA, great grand children Taylor Simmons, Pittsburgh (daughter of Colin and Terra), Mason and Logan Forer, sons of Justin and Livia, and several nieces, nephews, grand nieces and nephews. Please join us in remembering Lois's life at East Point Methodist Church in Liberty, on Saturday, December 15, viewing at 10 am, service at 11 am, lunch to follow at the social hall. In lieu of flowers please make a donation to East Point United Methodist Church, Liberty, PA 16930.